Click here for Pricing & Options! Wildlife Walks: $15 Guided Tours of the Exotics! Includes a popular hands on session also. 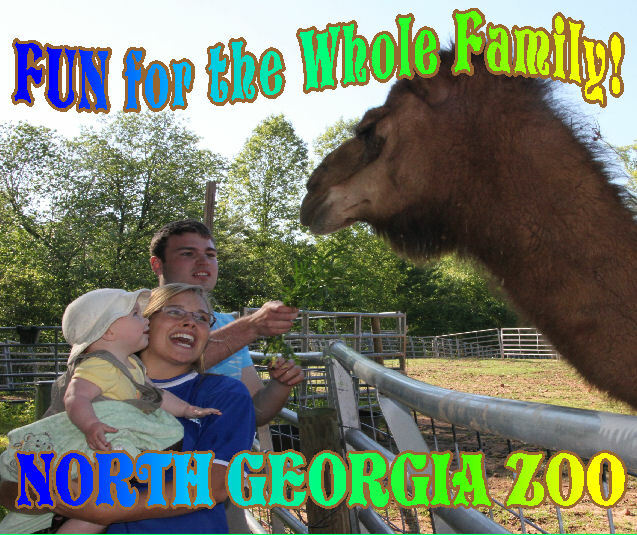 Camel Encounter: $5 Take a wagon ride and learn more about the hoof-stock and livestock. Feed the camels and meet the famous water buffalo! Reptile Encounter: $7 Touch an alligator, hold a snake and much more! Pony/ Donkey Rides: $5 Always a kids favorite! Zip through with your family and get lots of hands on opportunities! Suitable for the little ones! Creature Features: Meet some of the animals up close and personal that call N.G.Z. home! Babies and Bottles: Meet the newest babies and watch or participate in bottle feeding. Parakeet Landing: Walk into an aviary full of beautiful birds. Kiddie Corral: Go inside with the baby goats, sheep, llamas or other babies ready to meet you. Grab a brush and help groom and pet. RECEIVE LOTS OF DISCOUNTS, ENTER FREE GIVEAWAYS AND STAY UPDATED ON EVENTS AND MORE! This schedule changes with seasons & availability. We do not guarantee that these will always be available. Kangaroo, Reptile, Young Wolf, Hedgehog & Friends. Click on the Activity Schedule on calendar for times. Great for School, Parties, Festivals & more!